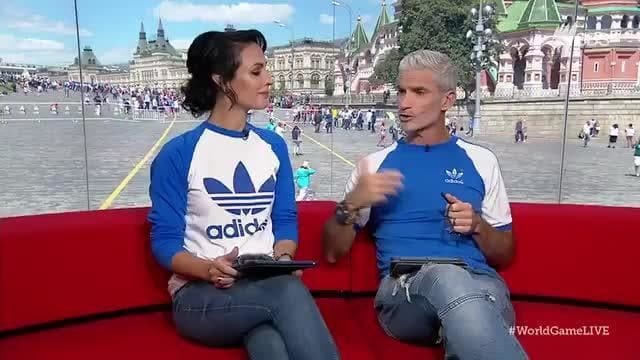 Last night, Craig Foster called those who trolled Lucy Zelić for her ‘over pronunciation’. What it represents, is the latest racial episode that has used football as a vehicle. The problem with Lucy Zelić is not her pronunciation, but rather what she is saying. She’s exhibiting what she’s taught, and what she’s learned. Pride. Pride of who she represents, and many of us still have a problem with that. Since the commencement of the World Cup, the voices on social media have grouped to complain about hers, particularly in her ‘over-pronunciation’ of the names of footballers. Last night her co-anchor, Craig Foster, took it upon himself to illustrate. The reason why Craig felt he had to explain it, is because we didn’t see it. It was never about the Anglo Australian community that he (and I) belong to. We missed the point, because it was something that didn’t affect us. We were already represented. Her verbiage is about the cultures the players represent. The bloodlines and heritages of the Zelić’s and the Ürge’s of this country. The community was the important point, and paying respect to it was the priority, and as Foster pointed out, the foundation of SBS. For some, that has always been a grating point. Abusing Lucy for the correct pronunciation of foreign names is merely the latest example of it. Lashing out at a pride of minority has been a condition birthed from our past, and our patient zero, the White Australia policy. Racism and football go together in this country. The second class has always existed, and probably always will. Johnny Warren told us so, tilting his famous book Sheilas, Wogs and Poofters, and since the days he recounted, much has changed, and not much has changed. Back in the morning of the NSL, it was easy, as the racial divides were overt. The Melbourne Knights were created by the Croatian community, they sported the same checkered shield the Croatian flag. They still do. Sydney Olympic was birthed as the Pan-Hellenic Soccer Club, who shared the colours of Greece as still go by the nickname Panellinios which is Greek, meaning of Greece. The Marconi Stallions represented Fairfield and Italy, sharing their name with the inventor of the radio, Guglielmo Marconi. The NSL in those days was as much as a square to shout your allegiance as much as it was a box to be placed in. Over there were them. The pride they exhibited was the problem. They were proudly waving a flag of a country that wasn’t this one. Why? Their names have that weird collection of vowels and consonants. You can take the metaphor further, as the battle on the pitch was a clash of old and new Australia in a civil war that remained civil. The casual prejudices came easy, you knew where to point your finger. The team played dirty, those people were dirty. With the implosion of the NSL, and the A-League’s rebrand as a more sanitised entity, it was seen by some as a victory over the ethnic minorities. It’s the prime reason why the Western Sydney Wanderers, and especially their ultras, the RBB, are the easy go-to antagonists of the league, culminating in the latter earning a twelve-month ban from Sydney Olympic Park. They’re the unwelcome throwback. We moved past that behaviour. I sat adjacent to the writhing, pointing wall of their noise and verbiage in a Grand Final they lost. I didn’t fear them. I admired them. They possessed the proper passion. They cared. The handful of Central Coast supporters over my shoulder who screamed at the referee and questioned the sexuality of the players, and the violent intent of the RBB represented the problem, and sadly, the community I was born in. The RBB were football, the Mariners weren’t. Both had the gift of the sport, one used it, one kept the receipt. The idea of a properly representative league has been substantially whitewashed since the rebirth of the NSL, and as many football fans have started noticing the game in the age of our World Cup qualification and the A-League, any hints of ethnicity have been seen as a pimple, a blemish on the face. Something to be immediately removed. Any sort of passion is twisted through the prism of racism and is reported thusly. Over on Twitter, the racial edge has taken the form of a hashtag, #SokkahTwitter, a pejorative term which is now used by victims of it as a proud umbrella of support. An emboldened few like @FearOfFootball have taken it upon themselves to call out this behaviour when they see it. And he was right. The A-League just suffered its annus horribilis, with crowds ignoring the pitch due to the forces that swirl around it. It, for want of a better term, has been boring. Equating passion with assumption violence is the problem. We complain about the difference between European leagues and ours, and proud meaningful passion is the difference. Real Madrid was once the team of dictator Francisco Franco and their great enemies, FC Barcelona, represent Catalonia. On the seats of the Nou Camp, it states that Barca is more than a club. Internazionale and AC Milan are forever split down English and Italian divides. Buenos Aires is defined by River Plate and Boca Juniors, teams split by means, one of the ethnic working class, the other the white elite. It goes for the same with Rio’s Flamengo/Fluminense derby. Here we have Sydney FC and Western Sydney, a rivalry of class and ethnicity muted by suspicion and the assumption of violence. What we represent, is nothing. What we need to celebrate in football is the proper diversity. It is the World Game, and we are a nation of migrants. We should be leading the discussion, not dragging it down. What makes the game and our country great is the same thing. The beauty of difference. Long may it reign, and long may those consonants be rolled.